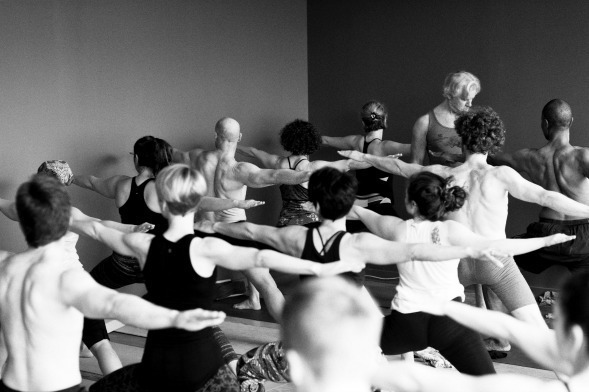 Ashtanga Yoga Montclair is a place where you can learn a practice that will grow with you for the rest of your life. We teach traditionally and hope you will take the opportunity to find out how yoga can work in your life. Beginners or those new to the Ashtanga tradition can start anytime. We welcome visitors as well as those with a practice to join our growing community at AYM. Questions about our practice are welcome and don’t hesitate to join our growing community of dedicated practitioners and enjoy your unique yogic experience. We are located at 127 Valley Road, Montclair, NJ. Studio entrance is at the back of the building and you can park out front or in the shared lot available to us in the back. Please do not park where it is indicated “Tenant Parking Only”.